The overall character of emigration to America was given by the difference between the situation on the American continent, characterized in the 19th century by an almost insatiable hunger for workforce and an offer of land, and, on the other hand, the results of the long economic and social depression on the European continent. It was also true, however, that the emigrants had to put up with the measures taken by the government of their “old country“, and of course with the laws of the country they were heading for. In the 17th and 18th centuries most European countries, in the spirit of mercantilism and physiocratism, considered their inhabitants, or their working segment, a part of the national wealth, and did not favor emigration. From the end of the 17th century, the colonization of the Hungarian Lower Lands, Banat, and Transylvania was being supported, while a hundred years ago there were mostly vain efforts to recruit colonists for the Austrian part of Galicia. When the government permitted for instance the emigration of textile workers in the second decade of the 19th century to Lodz in the Polish territory occupied by the Russians, it was an exception forced out by aspects of a politically-military nature. Otherwise the approach of the Austrian government to emigration did not change during the reign of Franz I, which is proved by the repressive imperial patent from 1832. It was not enforced in the revolutionary years of 1848-1849, or at least not to our knowledge. It was immediately in the 1850s, however, which were termed rather incorrectly as “Bach’s absolutism”, that the validity of the old patent was renewed, so that emigration once again theoretically became a matter of the state prerogative. The place of the feudal authority was taken by the district offices as of 1850 (which later became district Hejtmanstvi), while the second instance was represented by the regional offices (regional governments), whose presidiums usually made decisions on the applications filed by potential emigrants. The third instance was represented by the land governorship (Krejs regerum). However, the supreme institution in the 1850s was not only Bach’s Interior Ministry, but also, to the same extent, Kempen’s Supreme Police Office (Oberste Polizeistelle, later the Ministry of Police). The Interior Ministry determined, or was to determine, the general policy in the matters of emigration, while the Ministry of Police was responsible for the actual supervision of emigration. This duality resulted in the fact that, for example, the gendarmery, which was organized in a military way, was not subordinate to Bach. Nevertheless its power was, as we will see, rather limited in particular cases. The general instructions on emigration were thus issued by the presidium of the government (Stathaltgubernium) according to orders from the Interior Ministry, while the Ministry of Police advised the government concerning, in fact or seemingly, the state’s security. The presidium also exceptionally received advise and instructions from the Ministry of Foreign Affairs. In reality, it was obvious from the beginning that there is no single policy in the matters of emigration. Kempen’s Ministry of Police was pushing through a repressive policy, while Bach’s interventions rather corresponded to more liberal measures, which were gradually making their way in the West European countries. Of course the policy was not dictated solely by Bach and Kempen, but especially by the cabal around Franz Josef, general Grünne, cardinal Rauscher, Royal Council president Kübeck, and, from behind, until the end of his life, former chancellor Metternich. August 24, 1851, when a copied leaflet on emigration abroad was issued by the governing presidium, can be considered the date when the interest of the state authorities in emigration begins, but also the date when the mass emigration from Austria starts, along with the share of Czech emigrants in the first big wave of the influx of the so-called old emigration to the United States of America. From 1851 the authorities started to follow the numbers of emigrants from individual regions, or those passing through Prague or the borderland railway stations of Podmokly (Oderburg) and Bohumin (Boumil). Of course they also recorded how much money the emigrants were taking with them. In 1852, the 16 emigrants who were passing through Prague on February 13 had 140 to 832 gulden (Zlaty) coins in cash. In 1852, when, according to Frantisek Kutnar, some 6,000 people emigrated from Bohemia, there were 87 people who left the region of Plzen during only February and March, while 395 people passed through Prague on May 8 and 9. In 1852, when some 4,000 people left Bohemia, 249 people left the region of Pardubice by July 10, i.e., in six months; most of them from the Lanskroun (78), Kutna Hora (70), and Litomysl (54) districts. According to incomplete records of the governing presidium, most people left the regions of Plzen (547), Pardubice (262) and Ceske Budejovice (94) in 1852. At the beginning of July 1855, the region of Pardubice reported 168 emigrants, most of them from the Policka district (40). Most of the emigrants said their destination was America (69), followed by Hungary (65), Serbia, Poland, Galicia and Transylvania. In 1856, people were moving from the whole of Bohemia, much more from the Czech than from the German regions. The duality of the government policy concerning emigration is evident if we consider who gave instructions for the issue of passports. On June 8, 1855, the Ministry of Police issued a decree, according to which passports were to be given to 1) people politically compromised (i.e., those who the police wanted to get rid of), and 2) to the nobility, high officials, and the intelligentsia. On the other hand, the government presidium made public an imperial decree on an introduction of a new passport system as of February 9, 1857. According to this decree, it was enough to have only an identity card when somebody wanted to travel inland. The passports, issued regularly for a three-year period, were only to be issued by the Ministry of Foreign Affairs, the governing presidiums of the individual regions, and the regional offices entrusted by them. In any case, the presidium was to collect all data. For the future, passport revisions were only allowed at the border crossings. However, this was too difficult, and on January 30, 1859, governor Messery informed the district offices (the existence of the regional governments was nearing its end, and the delegated power to issue passports was shifted on the district offices or, later, district captainships) that the emigrants, who can prove having fulfilled their military duty, did not have to have the consent of a military recruit headquarters (Werbbezirkskommando). As in other places, prior to the issue of a passport, the offices wanted to know whether the emigrant had fulfilled military duty and whether he left any debts, particularly in taxes to the state treasury. A fee (Abfahrtsgeld) was paid for the permission to emigrate, in accordance with a patent from March 14, 1785, but the emigrants to the United States of America and Mexico were exempt from this duty (on January 20, 1860). The government therefore continued to supervise the issue of emigration, while the general rules were issued by its presidium, and the political aspects were controlled by the presidium of the police headquarters in Prague and Brno. Owing to this general care, the emigration which occurred in the period from 1852 to 1859 shows perhaps the best documented records. There was no single policy; it was not possible to prosecute anyone for merely wanting to emigrate – it was possible to dissuade the person, warn of the risks, but banning emigration even at this time was impossible. The state only prosecuted the agents, sporadically from 1852 and thoroughly from 1855, because incitement to emigration was liable to punishment, as it brought about a potential as well as real danger to the state. By this time, however, the road to illegal emigration was opening. The authorities found out about illegal emigration when a recruit failed to appear at a call-up, or when somebody was turned in for illegal emigration. In this case the regional office (later the district captainship) issued an edict on the summoning of the person, which urged the emigrant either to report within one year in person, or to prove that he/she had returned to Austria. This concerned those who stayed abroad without documents, as well as those who only traveled abroad with the above-mentioned identity card. It was therefore according to the Ministry of Police’s instructions that Josef V. Fric’s application for emigration to America was handled (1850-1859), it was thoroughly investigated whether there is or is not a plan for mass emigration of the Austrian Slavs to America; and those who had returned, as well as other compromised people from the period of 1848-1849, were observed, especially in order to see they were not agents of an emigration company. One of the suspects was Alois Barta from Tabor, who in 1848 participated in the revolution in Vienna, fighting with Klapka in the revolutionary Hungarian army. He lived in the U.S.A., but returned to Prague in 1858, visiting his relatives in Tabor, he then left for Belgrade in Serbia via Vienna, and finally to Istanbul as “J.W. Justin Michel alias Draschar” (Drasar) from Policka, who was helping the inhabitants of Borova and Brezina overcome the hardships of the emigration agenda. Beside the specter of the ‘Slavonic emigration to America’, there was the equally ‘dangerous’ emigration to Russia, monitored in 1862 and in the following years. As early as two months before the December constitution was issued to at least theoretically grant Austrian citizens the right to migrate, the Prague governing presidium had discussed a memorandum of Tábor county council head Bradáč, which said about 8,000 people had moved out of the Tabor county in that year, taking 1,300,000 zlatý with them. Furthermore, it reported that 15,000 to 20,000 emigrants left Bohemia, of whom at least 6,500 went to the U.S.A. with overall assets of at least half a million zlatý. The file proposed that the state start a colonization of Hungary, where Czech settlements could support the monarchy against the Hungarians. Therefore, the head councilor was apparently behind the times. Even after the December constitution was issued, emigrants first had to meet all their duties to the army and tax offices. As time passed, however, the opportunity for emigration grew more limited. According to a governing presidium bulletin from March 25, 1881, the controlling measures were made stricter, mainly in military matters and for people subject to army service. Just like in the 1850s, authorities saw to the spreading of information discouraging people from emigrating, starting from the making public of letters from America, held up or copied while transported by mail, or from recommendations by foreign ‘specialists’, for example the sociologist Emily J. Balch from New York, who wrote or was planning to write in 1905 against Slavonic emigration to America. It is difficult to determine from where the emigrants obtained information on the country they were going to emigrate to. It was evidently exceptional to draw such information from dailies which were critical about the United States, especially in the period between 1848 and 1849. The contemporary Czech writings were mostly against emigration. An ‘educational and amusing story’ by Josef Devítský called ‘Emigrants’, published in 1849 and based on a German story, abounded in the description of dangers and hardships the emigrants were in for, from the Hurons to the Incas, from bears to jaguars. Besides, however, the article wrote that from 1860 to 1867 the population of the United States grew by over three million people – mainly due to immigration, the author remarked. In 1866 nearly 250,000 immigrants arrived in the harbor of New York, of whom almost 100,000 stayed in New York, 32,000 moved to the neighboring states of New Jersey and Pennsylvania, 19,000 went to New England, 5,333 headed for the southern states, 71,485 went to the west (Midwest today, that is, Illinois, etc. ), and 2,932 people moved to Kansas and Nebraska. We may therefore conclude that if the monarchic government did not take a unified standpoint towards emigration, then-Czech politicians did not have a clear view of emigration either. The conservative and nationalist circles, that is, the Old Czechs, were against emigration, while the Young Czechs took a more realistic standpoint and wanted to make use of it. From the beginning of the 1850s, the decisive role in the stream of propaganda in favor of emigration was played by agents of transport companies in Bremen and Hamburg, who apparently beat the English (Liverpool) competition, as few people left Bohemia via Liverpool; they had bad experience and returned home from the harbor. As time went by, the agents were also able to cope with English companies which wanted to find a position in Hamburg. The Ministry of Interior was fighting against these agents’ activities, primarily by warning against emigration and by information on bad living conditions, unemployment, etc. A ruling on the prosecution of agents, who have committed the crime of ‘criminal enticing’ (strafbare Verleitung) of emigrants, was issued on November 17, 1852. On the basis of this ruling, various people, mainly from the circles which had played an active role in 1848-1849, were watched as agents or because of an alleged agent activity. These included Uffo Horn from Trutnov in 1850-1854; in 1854 J. Neumann, the bishop of Philadelphia canonized by the Catholic Church in 1978; in 1853 dr. Fr. Rybička; a year before him dr. F. C. Kampelík, who was actually planning to establish Czech settlements in Galicia. The cases of those who had returned and their bad experience were made public, and, from 1854, so were reports of the general consulate in Bremen and of the police headquarters in Podmokly, which said that members of families, which had only found out at the harbor that they did not have enough money for the passage, were returning from Bremen. Some of them were hoping in vain that they might do some work to compensate for the transport. Those who had returned were interrogated, and it was found out that in 1854 a ferry ticket was given for free if a person recruited another six people. This case, however, is rare, as all other sources quote commissions in money, which usually represented 10 zlatý per a recruited emigrant. The real or alleged agents included people of various jobs: lawyer Fiala from Ústí nad Orlicí, J. Wania from Benešov, J. Spinzer from Choceň, Fr. Bienert from Česká Lípa. In 1854, however, Alois Kareš, born in Vamberk, operating in Česká Třebová, in the Lanškroun county, in East Bohemia, but finally in the whole of Bohemia, became the most important agent. On the basis of a Ministry of Interior patent from October 17, 1854, letters sent by emigrants home were to be held up, as they had turned out to be the most efficient form of recruiting emigrants. It is understandable that only those which described the emigrants’ bad experience were made public. The companies, which were trying to recruit emigrants in the Czech lands from the beginning of the 1850s, included H. Hirschmann, Williams and Morris from Hamburg, Lüdering from Bremen and others. The initial activity of Hamburg-based companies was balanced by the Bremen competition, which started to publish News on the Activity of the Emigrant Care Institute. The Hamburg company Morris and Co. Columbia was, as far as we know, the first one to show interest in penetrating into the Czech environment, having sent leaflets to Bohemia from 1852 and trying to set up a network of agents, primarily innkeepers. In 1855 it tried to recruit J. Waitz, a landlord ‘opposite a railway station in Prague.’ Emigrants received colored leaflets, printed in Czech and German, which they were to hold in hands upon their arrival at the Hamburg station. It is true that the Czech used was poor and that the Hamburg printer did not have diacritics at his disposal, but it is probable that many an emigrant pioneer used the ‘Columbia, the fastest transport of emigrants to America and Australia,’ that is, to ‘N. York, N. Orleans, Boston, Baltimore, Philadelphia, Quebec and Galveston in Texas.’ Morris probably also had agents outside Prague, among others Alois Urban from Vamberk. It is not certain, however, whether this man was not in fact Alois Kareš from Vamberk. Morris was apparently more enterprising than his countrymen Williams or Hortson, to say nothing of the Hudson River Railway company. These companies are mentioned only rarely in the available materials. W. Stisser from Bremen showed more sense of enterprising, having addressed some highly regarded personalities in the Czech countryside, offering them to become agents for his company with a reward of 10 zlatý per emigrant. Stisser was probably the first one to start using letters of thanks, which he had written by emigrants. It seems that in 1855 Alois Kareš also worked for Stisser in this way. On the one hand, agencies were trying to become legal (an application by one of them was turned down in 1857 with reference to the imperial patent from April 9, 1833), on the other hand authorities were trying to use the evidence of those who had returned and the news of disputes among individual agents and agencies to discredit them. Authorities were probably correct in considering Alois Kareš the most dangerous agent. From 1856 Kareš worked as a ‘Czech executive’ of the F. M. Bodecker jr. company, successor to H. Aug. Heineken in Bremen. In 1855-1859 authorities managed to intercept an immense number of letters, leaflets and pamphlets sent from 13 Obernstrasse, Bremen. As early as in 1855, the county council in Rychnov nad Kněžnou was discussing the influence of Kareš on emigration from the counties of Lanškroun, Ústí nad Orlicí and Vysoké Mýto. It seems the authorities found out that Kareš had built a network of agents reaching from Česká Třebová to Bremen, via Prague, Podmokly and Leipzig. Applications for a transfer from Bremen to the United Settlements of North America, published in 1856, as well as letters addressed to ‘Highnesses’ on October 16, 1856 were composed very skillfully. In the letters Kareš assured that his ‘role is to help our former country or rather our patriots, who were left behind, with industrial matters...where they could send their products...answer the questions...of factory owners and workers....’ This was written so convincingly that even the heads of the 2nd imperial and royal police regiment thought it was impossible to prove Kareš was enticing emigration. ‘Helpful patriot’ Alois Kareš addressed ‘esteemed municipality officials’, asking them to support his efforts and thus to help the poor. ‘But the officials and priests are opposing this, frequently obstructing this in all, sometimes ridiculous, ways.’ Kareš himself warned emigrants against dangers awaiting them on the way to Bremen. Thus J. Pšenčík of Vizovice, who was on the way to his sister-in-law in Texas, was cheated in Leipzig. Kareš’s agent in Leipzig, Fr. Hadraba from Pelhřimov, was to prevent this. Otherwise Kareš recommended emigrants to first of all ask about the experience of their relatives who had already moved to America. At the same time, however, Kareš promised that a certain part of his four-percent commission would be spent on ‘union expenditures’ and enable some fellow countrymen to be transported to America for free in the future. This really happened several times, as the case of J. V. Sládek proves. The people concerned were probably some of the ‘fellow countrymen’ settled in America, and later particularly editors of Czech-American newspapers. However, commission talks sometimes led to conflicts which did not remain unknown to the authorities. These tried in 1857 to use a conflict between Kareš and Josef Zábrodský from Česká Třebová. The authorities deduced that there was a union organizing emigration to North America, associating it with Ohéral’s remark on the utopian ‘Slavonic America’. Plans for the founding of ‘settlements in North America’ did not give rest to the authorities and police headquarters in 1857 either. At that time, the focus of Kareš’s agents moved to the counties of Tábor and Plzeň. On November 22, 1858, Kareš advised emigrants to take the best ships of the H. Dauelsberg company, formerly Bödecker; to refer to Fr. Hadrava or to A. Schultz’s company in Leipzig; he cited letters of thanks which he had received from emigrants; and, finally, he advised the potential emigrants to travel to New Orleans or St Louis, where the conditions were better than in New York. Kareš’s activity was apparently successful. This is proved by allegations made by his former colleague K. W. Löwengrünn from Leipzig, who denounced in 1870 that Kareš had dispatched an annual average of 300 to 3,000 emigrants from Bremen in 1858-1865, that in 1867 he had earned 34,000 zlatý against 10,000 zlatý of real costs, and that in 1868-1869 he also made at least 6,000 zlatý a year. However, the authorities continued to refuse to permit the setting up of agencies, such as the one that Em. Krof, bartender from Karlín, applied for in 1870. The police was of course the most suspicious body, watching primarily young people (among them Čelakovský, Sládek, Schneider, who allegedly wanted to leave for America and work for a newspaper there after an agreement with K. Jonáš), emigration to Russia, but also that to Brazil. The police also did not pass unnoticed the fact that J. Pastor from Bremen started a competition struggle against Kareš and Stocký from Bremen through an open letter to A. Kareš. This struggle reached its peak in 1875-1880. ‘Czech executive’, head of the ‘Czech department’ at the Aug. Bolten company succeeding to W. Miller in Hamburg (Admiralitätsstrasse 33-34) Josef Pastor had the advantage over Kareš of having been in America himself, working at Czech newspapers’ editorial offices and establishing many contacts. This can be seen in a pamphlet called A Ride to America via Hamburg, in which he reprinted testimonies saying that a trip to America via Hamburg was more advantageous than one via Bremen, obtained from Czech-American newspapers (Dělnické Listy, published in Cleveland; Chicagský věstník; Slavie; Slovan Americký, published in Iowa City; Pokrok Západu, published in Omaha; Pokrok, published in Cleveland). ‘May he who travels to America always choose a route via Hamburg.’ Fellow countryman Pastor was understandably presented as ‘a real friend of the Czech emigration’. Pastor used a similar way, that is, testimonies from Czech-American newspapers, to fight against the Bremen competition in a pamphlet called A Ride to Baltimore (any rides to Baltimore were rejected completely) and, even more fiercely, in another pamphlet from 1877, A Ride to America via Hamburg without Changing, which qualified the competing Kareš and Stocký company as a dubious ‘nationalizer’. Pastor recruited a colleague in New York, Jan Vosátka, who was to prevent the robbing of emigrants, common in Baltimore. Besides, Pastor sent to Bohemia posters of steamship companies and of Bolten’s company, maintaining that ‘every year a numerous part of the Czech-Moravian people leaves for America across the sea’ with Bolten. According to a document obtained from the files of the Vamberk city council, A. Kareš died in Trieste in 1885 – without any property, so that the municipality had to cover the funeral costs. But brochures published by Kareš-Stocký circulated around Bohemia throughout the 1890s. As soon as an individual decided to emigrate, a troublesome journey around the authorities’ offices started, as he/she had to get an emigrant’s or travel passport, usually issued for a period of three years, or a simple ID, with which he/she got as far as the harbor. This was not easy in the 1850s, and it was not a quick matter either. Josef Janda from Trojanovice applied for an emigrant’s passport at the county court in Frenštát on May 29, 1855, repeated his request on June 4 and then on February 24, 1856. He enclosed the birth certificates of his own, his wife’s and children’s. In the application he stated that he had already wanted to leave for America for four years, because as of 1847 there had been no hope that his misery might improve. His application was supported by the mayor of Trojanovice, who confirmed that Janda, ‘who wants to wander to America, has no outstanding royal, imperial or other taxes’. The application was passed from Frenštát to the county authority in Místek, the inexperienced officials of which asked at the regional authority in Nový Jičín, just to make sure, and the latter again asked at the Brno governorate. The governorate ordered the county council to find out whether the applicant, who wanted to travel first to Portland, Maine, and then to Missouri, had the money to pay for transport, which at that time amounted to 140 zlatý per person, according to an official estimate. The county council therefore asked Janda for a bail worth 428 zlatý, Janda paid 360 zlatý and on July 6, 1856, he was given his money back, along with the passport. The procedure became simpler and faster later on. Every potential emigrant obtained from the district captainship a so-called consignation, which bore his name and surname, purpose and destination of the journey, date and place of birth, said who is traveling along and what property the emigrant is taking. Furthermore, there was space for a recommendation by the district authority and for statements of the imperial and royal district military headquarters and the regional authority as the last instance. 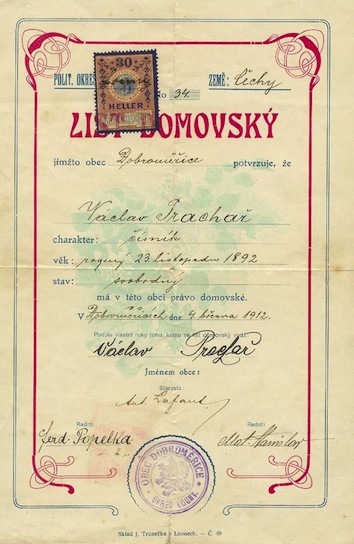 According to the Prague governorship, an emigration application was to be supplemented with a consignation and, in the case of emigration to America, with a passport evidence chart. The rest was to be canceled as unnecessary red tape as of August, 1865. And so for instance Jan Lorenz from Dvůr Králové, who applied for a passport on May 16, 1879, received one on June 1 of the same year. Only a minority of people applied for an emigrant’s passport, however: most applicants preferred travel passports. By having an emigrant’s passport issued, they lost the Austrian citizenship as well as the domestic rights in their native municipality. This was, as we will see, sometimes risky. But there were enough advisers to say how to get across the border even without these documents. In 1895, the Bremen company F. Missler – J. Brugk even distributed a pamphlet called ‘How to Get to Bremen without a Passport’. The recipe was rather simple, as it recommended merely to avoid Oderburg and Boumil and to travel via Bavaria. Although people from Moravia, Silesia and today’s Slovakia usually traveled to America via Boumil, taking a train to Wroclaw, Berlin and Hamburg, people from Hungary sometimes moved via Upper Austria or via Oderburg, where the police agenda was at its strongest. Mainly people from south and west Bohemia set out at the beginning of the 1850s, ‘because of high prices and taxes’. Before the railway connecting Prague and Dresden started operating, people traveled to Dresden by boats on the Elbe, mainly by the ‘Bohemia’. From the end of the 1830s there was a railway line connecting Dresden and Leipzig, and then another to Bremen or Hamburg via Halle and Hannover. This was why the Austrian police had its agent in Dresden, besides the border control in Oderburg, and on the other hand, steamship companies were operating from Dresden and Oderburg. Therefore there were conflicts again in Oderburg on the Saxon border in 1854-1857. Police officials abode by a regulation from February 3, 1853, which said repatriates were not to be given any return visa. But there were also people who only had a travel passport with limited validity – were they also subject to this regulation? The general consulate in Bremen repeatedly warned against emigration of the poor who arrived in Bremen hoping they might get a job on the ship. Officials in Bremen usually found out that there were enough funds only for the transport of men, while women and children returned home. On March 31, 1854, six families returned, while the women and children of the Dušek, Havel, Kovář, Koleš, Keilman families from the district of České Budějovice and their other countrymen returned on April 3. Authorities suspected that the repatriates, called ‘revertents’, had been persuaded in Bremen to recruit other emigrants, being promised a free ticket for every six emigrant candidates obtained. These conflicts became extremely severe in 1855, when people started returning from America due to unemployment. Police inspector Mařík did not know what to do with the returning people who had lost Austrian citizenship and whom the Saxon police refused to let enter its territory. According to Mařík, this fate awaited about 120 emigrants. The police headquarters informed the governorship presidium on the situation, asking the state chancellorship (the Foreign Affairs Ministry) through the Ministry of Police in Vienna what to do with these homeless people. At the beginning of 1857 the situation was bad again, and the repatriates were pushed by the Austrian and Saxon police in turn. Finally Interior Minister Bach interfered in the whole affair, ordering on March 23, 1857 that the repatriates be accepted and that they be allowed to apply immediately for the granting of new citizenship (Wiedereinbürgerung). But police officials disagreed, and on April 8 the Ministry of Police ordered the police headquarters in Prague not to make any exceptions in the matter of repatriates. On April 20 the governorship presidium issued a cunning regulation which said repatriates were to be ‘treated according to the corresponding norms’. Let us hope that the particular authorities understood this in the same way as members of a mixed Saxon-Austrian commission, who discussed the matter in September 1857. The commission concluded in a protocol from September 10, 1857 that repatriates who will apply for readmission to the Austrian Union should not be hindered. With the arrival of mass emigration, the situation on the border apparently changed. 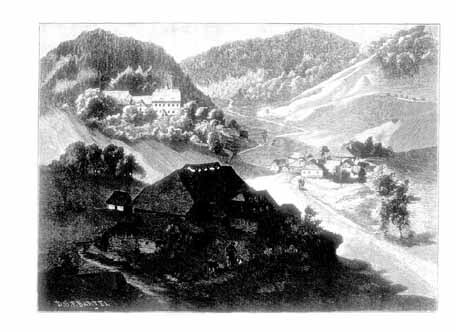 Vilém Pflanzer, a friend of Vojta Náprstek-Fingerhut, set out for America at the end of July 1847 with a capital of some 160 zlatý. He left Prague for Teplice on the ‘Bohemia’ steamboat on August 3. In Teplice he had a ‘covering letter’ (Geleitschein) issued at the spa headquarters, which entitled him to travel to Dresden, Leipzig and Berlin. He took a train from Dresden to Leipzig, which cost him 5 zlatý 24 crowns, after traveling from Prague to Dresden by coach at an unspecified price. In Ústí he exchanged his zlatý for Prussian dollars, and in Leipzig he bought a ticket to Bremen via Hannover for 18 zlatý. He arrived in Bremen on August 6, although he had to travel from Hannover to Limburg by omnibus. He did not travel alone, being accompanied by his friend Hladík and brothers Jan and František Mucha. Together they paid 16 dollars 10 crowns for accommodation in Bremen, which was certainly not cheap. On August 7 they negotiated a ship ticket to New York, on August 12 they exchanged it for one to Baltimore, they bought tools and some food and on August 16 left the harbor of Bremerhaven on the ‘Albert’. At the beginning of the 1850s, the railway links complemented each other, so that there were trains from Vienna to Boumil via Ostrava, from Prague to Dresden, from Hannover to Bremen. The trains were not fast, Pflanzer’s trip from Vienna to Prague started at 19:30 and ended at 15:45 on the next day, and he paid 9 zlatý 4 crowns. As late as in 1861 there were only two trains from Vienna to Prague a day (at 7:30 and 19:30) and two to Boumil (at 7:00 and 20:30). Later on, the railways issued special timetables for emigrants. 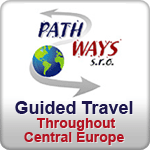 It was only in the 1870s that the central European railway network roughly attained the form that we know today. Dresden, but mainly Leipzig, had a bad reputation, being abundant in money-changers, false agents selling tickets for non-existent ships, etc. Therefore Alois Kareš saw to it that at least the customers of his Bremen company (H. Deuelberg, F. W. Bödecker) be taken care of by his assistant Fr. Hadraba, born in Pelhřimov, and by František Kalich. And when an emigrant finally arrived safely in the harbors of Bremen or Hamburg, he was facing not only the ocean, but also new dangers brought about by the cruise.